Whether it be colour blocking or graphic patterns, black and white monochrome is a significant part of 2013 fashion trends. It has been revolutionised from basic wardrobe pieces to the bold and fashionable. The chic option of black and white with monochrome has made a dramatic and cool return at the forefront of fashion. Black and white is proven to be eye-catching whilst having longevity. The absence of colour can be a beautiful thing. Wearing black and white is simplistic in nature however it can prove to be a bold and dynamic by the same token. Dressing in this manner allows an individual’s personality to shine through. It is a clean fresh new direction which is thoroughly ‘en vogue’. One of the most appealing aspects of this black and white trend is that it will carry you through to different seasons. As Coco Chanel once said- “Women think of all the colors except the absence of color… black has it all, white does too. Their beauty is absolute and they are in perfect harmony.” Often, black and white pieces tend to be more interchangeable within your existing wardrobe and will work well with brights and patterns when new fashion trends arrive. 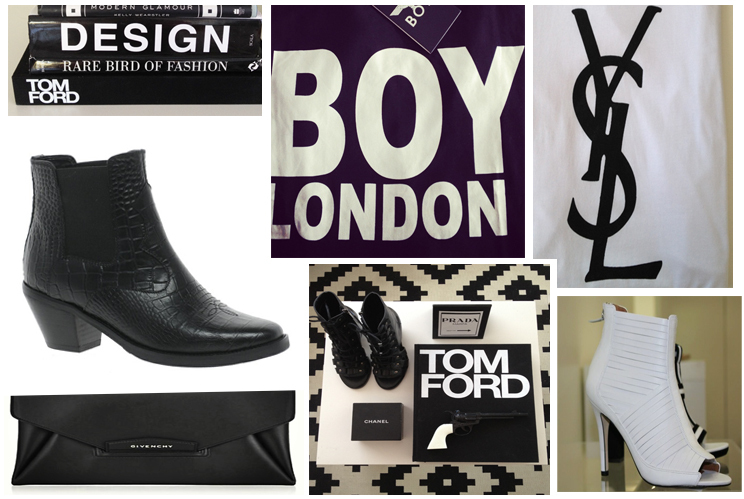 Black and white clothing and accessory items can be considered investment pieces. Grey marl and trashed denim jeans are a side trend also to be considered. Major aspects of this trend include stark white high heels and strappy gladiator black sandals. Alexander Wang, Balenciaga and Saint Laurent all showed beautiful versions of these shoes. Matt white or black manicures and pedicures are a super accessible entry into this hot trend. Chanel’s ‘China White’, ‘Black Velvet’ or OPI’s ‘Go Goth’ are three great nail varnishes to try. The biggest part of this monochrome trend is leather. Leather has been incorporated into practically all aspects of clothing and accessories. Spliced tops which feature leather-look sleeves and panels. Baggy leather sportif pants, along with tight black leather jeans. The iconic leather jacket is a go-to piece. Noteworthy leather handbags and clutches by Celine and Givenchy are at the top of every fashionista’s must-have list. Leather this season is being embraced as an everyday fabric, not just as a night time option. There is a luxuriousness to it that is universally appealing. On the home front, Interior design is as always, never far behind with keeping up with fashion trends. As home decor and fashion are always sharing inspiration. Black and white monochrome is simply chic, contemporary and sophisticated in the home. It is compatible with basically any style or decade in design. 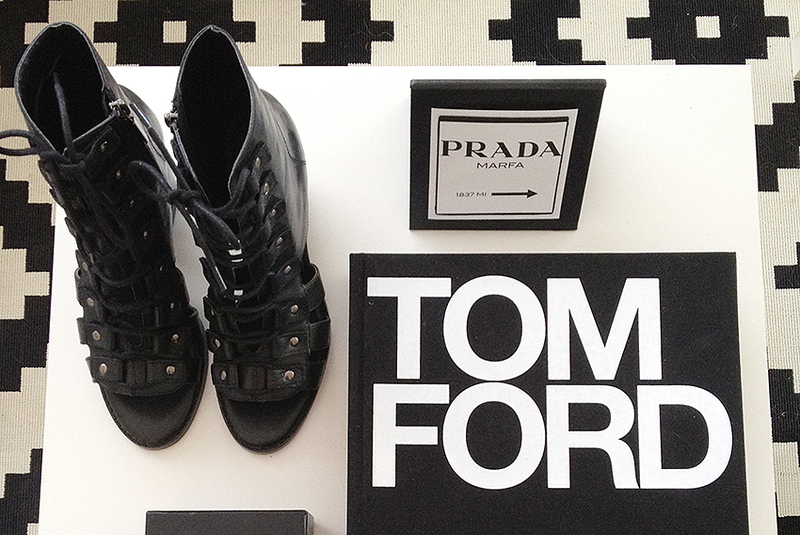 Monochrome is always in style. Clean black and white creates a powerful impact. Ralph Lauren Home and Armani Casa, as well as Missioni have all focused on creating a graphic vibe within their respective homeware lines. Graphic linear and geometric themes can be seen through bed-linen, cutlery, napery and decorative throw cushions. Fashion designers and brands such as; Saint Laurent, Tom Ford and of course Chanel have all chosen to use the dynamic combination of black and white for their respective fashion book covers. These beautiful fashion books would lend a stylish edge to any living room or bedroom. Overall, incorporating this monochrome homewares theme into your living space is a simple and effective way to add this new season’s fashionable look to your home life. Whatever your personal style, high-end fashion designers as well as interior designers are demonstrating that there is a way for everyone to embrace this new trend and there is truly, nothing ordinary or mainstream about black and white. It is a stunning trend which is here to stay.